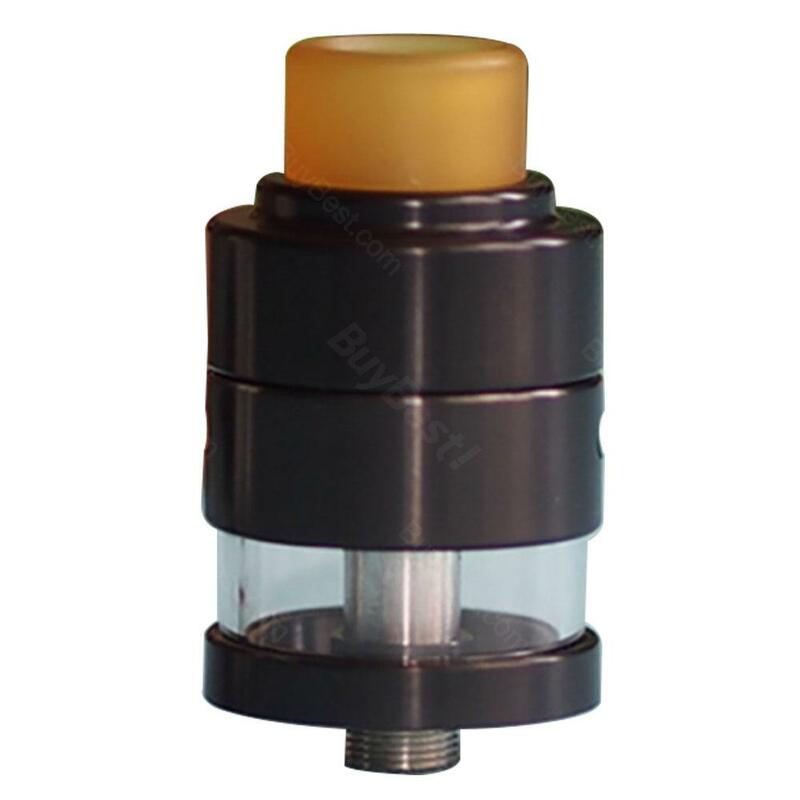 The Cthulhu GAIA RDTA is a rebuildable atomizer tank, with 2ml e-juice capacity. It is 510 thread and the squonk friendly RDTA. It features easy top refilling system, adjustable bottom and side airflow control, which provide you amazing flavor and clouds. Black and silver colors are available. The Cthulhu GAIA RDTA is a rebuildable atomizer tank for cloud chaser. The GAIA RDTA is 510 thread, with 2ml e-juice capacity. The RDTA features top refilling system and adjustable bottom and side airflow control, which you can easily to operate it. The Cthulhu GAIA RDTA can be considered as squonk friendly RDTA as well, and the two posts Velocity build deck is good for dual coils building. Available in two colors: black and silver. It is the best choice for both cloud and flavor chasers, just take one now! • It doesn't come with e-juice. You need buy it separately. • It comes with 510 thread, fits most 510 thread batteries/ MODs. Schnell aufladbar, schönes handling einfach zu bedienen und Cthulhu sieht wirklich klasse aus. GUT! cannot think of disadvantages of this rdta, I love it so so much!